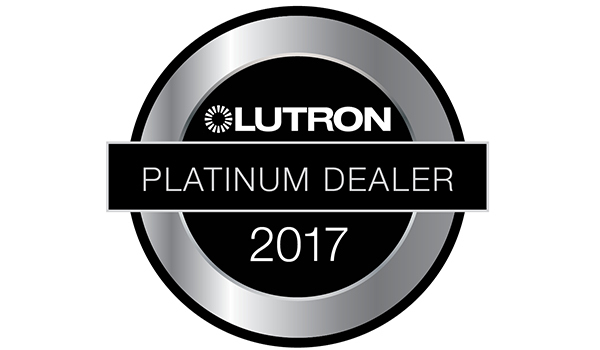 Lutron is devoted to simplfying lighting and motorized window coverings for our Dallas, TX area clients. At Audio Video Innovations we are authorized dealers for Lutron Homeworks QS, Lutron RadioRa2, Caseta and Serena, meaning we can handle ANY lighthing or motorized shading job in Dallas. Homeworks QS is the ideal solution for your Highand Park new home as it allows us to simplify control of large custom homes into a simple and intuitive interface. Homeworks allows us to control any size home with beautiful keypads, including the Lutron Palladiom keypads and Palladiom thermostats, featuring fantastic metal finishes. Homeworks QS gives us unrivaled flexibility to control any homes lighting and automated shading systems with ease. It also allows control of most LED lights, including LED tape lighting, LED cans, and LED chandeliers. Lutron has also introduced an exclusive line of modern roller shades under the Lutrom Palladiom name. Lutron Palladiom shades feature minimal and modern hardware with an exposed roller for a clean contemporary roller shade install. Palladiom shades still feature the same reliable Lutron roller shade hardware and control, but with a modern look unmatched by any other brand of motorized roller shade. Lutron Palladiom roller shades provide an aesthetic alternative to bulky fascias or recessed pocket shades. Lutron RadioRa2 also allows us to use keypads, but is ideal for home renovations and custom homes that don't require as many controlled lights or motorized roller shades. Because Lutron created RadioRa2 as the ideal wireless lighting system for audio video installers, it works perfectly for a large Preston Hollow remodel project, or a new transitional home in Midway Hollow. Lutron Caseta is a great solutions for smaller homes or single room renovations. Caseta gives you the ability to dim lights at the touch of a button or from a smartphone similar to RadioRa2 or Homeworks QS, just on a smaller scale. Caseta is a great option for someone looking to add lighting control the the exterior of their Frisco, TX smart home, or maybe just a couple of living spaces. Finally Lutron Serena allows very affordable, custom, motorized roller shade and automated cellular shade solutions. Lutron Serena is priced similarly to systems like Hunter Douglas, but with MUCH more advanced battery technology. A Serena shade can last up to 5 years on one set of D-Cell batteries. When new batteries are required they can be changed in minutes with no tools.